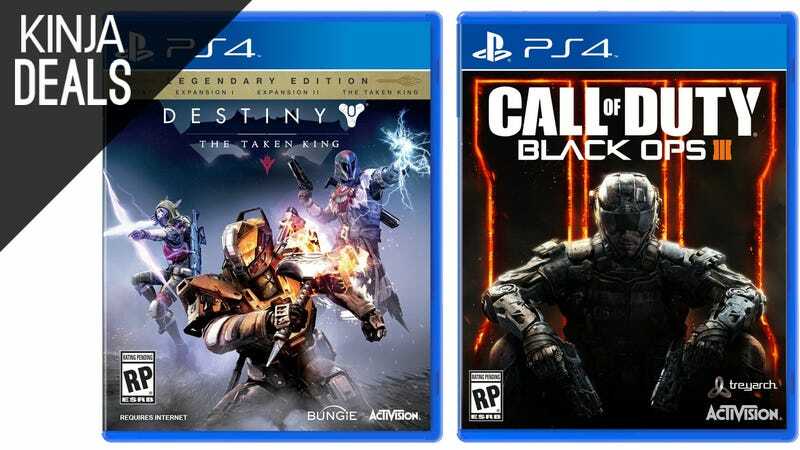 Two of the most highly-anticipated games of the second half of 2015 are both $10 off right now, for Prime members only. Just note that you won’t see the discount until checkout. Preorder Destiny: The Taken King Legendary Edition ($50) | Amazon | Prime members only. Discount shown at checkout. Preorder Call of Duty: Black Ops III ($50) | Amazon | Prime members only. Discount shown at checkout. Don’t have Prime? Start a 30 day free trial here.